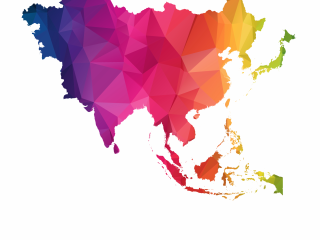 Asia week ahead: Is a technical recession lurking? The FOMC should keep rates unchanged today but the bias is expected to stay the same and indicate further gradual tightening ahead. Our economists interpret the Fed’s “gradual” approach as one 25 basis point hike per quarter (September and December most likely – see FOMC Preview). However, with the market pricing in nearly two rate hikes for the remainder of the year, we don't expect the US dollar to rally in response to the upbeat statement (as plenty is priced in for the rest of 2018). Neither do we expect a significant impact on global FX markets today. Rather, the focus shifts back to the threat of trade wars after the US threatened to increase tariffs on Chinese imports (from the 10% initially intended, to 25%). This should keep a lid on emerging market FX today, particularly as China's yuan continues to move lower. EUR/USD should continue to be stuck around the 1.1700 level as tentative euro positives (higher than expected headline CPI yesterday) are offset by mild euro negatives (the resurgence of a trade war threat). But given the less saturated speculative long euro positioning, downside should be more limited now. The UK Manufacturing PMI should remain flat as the impact of the weaker pound has been waning while slowing eurozone growth has also been affecting the UK manufacturing sector. This is unlikely to impact the Bank of England rate decision tomorrow with the BoE adamant it will hike. Yet, it is politics that is the main driver of the pound and continues to pose downside risks in coming months, with EUR/GBP to move above the 0.90 level. Our bearish outlook for the Brazilian real in the run-up to the October elections suggests that there is a reasonable chance that monetary policy guidance shifts from neutral to hawkish, as early as September. In particular, a USD/BRL above 4.00, coupled with higher inflation expectations, which has become a critical indicator to monitor, would place the central bank’s 2019 inflation forecasts materially above the 4.25% target for that year in most scenarios considered by the bank. But this is a scenario that policymakers are not yet prepared to consider in this week’s monetary policy meeting. For now, our Chief LatAm economist Gustavo Rangel expects the disappointing activity indicators, considerable slack in labour markets and well-behaved core inflation indicators to reinforce prospects for a stable policy rate (at 6.5%) in the foreseeable future. The immediate impact of the on-hold decision on the real should be limited today as no change in interest rates is widely expected.